‘Gentlemen , when the barrage lifts’ –Rifleman Kenneth Middleton Davies QVR, killed first day of the Battle of the Somme. 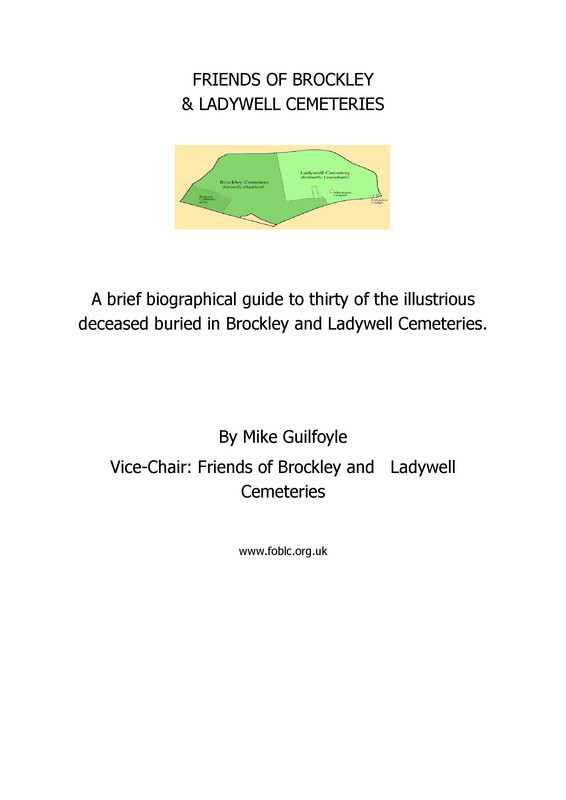 - Friends of Brockley & Ladywell Cemeteries Friends of Brockley & Ladywell Cemeteries: ‘Gentlemen , when the barrage lifts’ –Rifleman Kenneth Middleton Davies QVR, killed first day of the Battle of the Somme. ‘Gentlemen , when the barrage lifts’ –Rifleman Kenneth Middleton Davies QVR, killed first day of the Battle of the Somme. Situated aside the inner pathway close to Brockley Grove lies a forlorn cross which contains the evocative lettering 'the barrage lifts' and tells the onlooker that Rifleman Kenneth Middleton Davies, of the Queens Victoria Rifles or ‘Old Vics’ was killed in action aged 24 years in France on the first day of the Battle of the Somme 1st July 1916. The famous quote above was attributed to a Company Commander in the 9th Battalion of the King’s Own Yorkshire Light Infantry who offered a toast before the Battle of the Somme, 'Gentlemen, when the barrage lifts'. In the week long pre-battle bombardment no less than 1,700,000 shells were fired at German positions! British Troops going over the top on the 1st July 1916 –juxtaposed with bottom photograph of family grave in Brockley cemetery . Kenneth Middleton Davies was born in Lambeth in mid-1891, being the eldest son of William Middleton Davies, a man of various occupations, and his wife who was born Hannah Eliza Shotter. 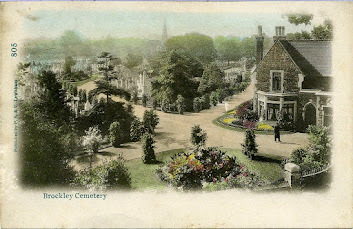 At the time of the 1911 census, Kenneth was living with his parents at 70 Revelon Road, Brockley, South East London, and was working as a solicitor's clerk. His army service record has not survived but it is known that he enlisted in London and his medal card states that he first saw active service in France on 9th May 1915, and was killed in action on 1st July 1916, the first day of the Battle of the Somme on which some 20,000 British soldiers lost their lives and another 40,000 were wounded. 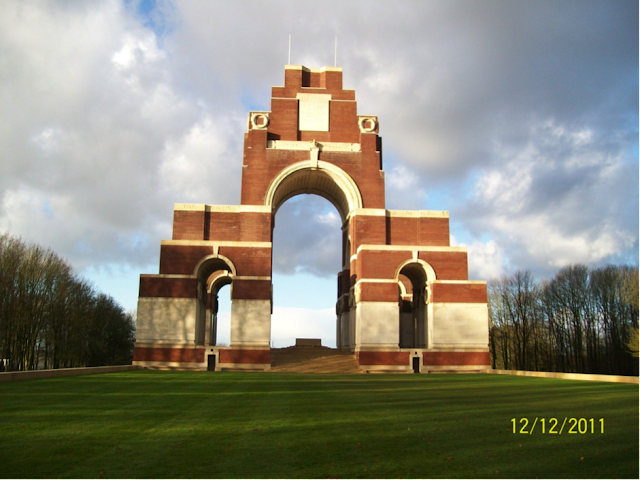 Kenneth's body was either not recovered or not identified and he is commemorated on the Thiepval the 9th Battalion of the London Regiment. Serving as a 'rifleman', his medal card states that he was awarded the 1914-15 Star but omits any reference to the British War Medal and Victory Medal to which he also would have been entitled. The 1st July 1916 was a near disastrous day for the British Army in France. Eleven divisions of Fourth Army attacked along a 15 mile front from Maricourt to Serre. Two further divisions of Third Army launched a diversionary attack just to the north of Serre at Gommecourt. For a week beforehand the British artillery pounded the German trenches but the Germans had been there for a long time and they had constructed deep, concrete reinforced shelters beneath their trenches and many survived the bombardment. The troops went over the top at 7.30 am but even before they had left their overcrowded trenches, many had been killed or maimed by German artillery. The Germans knew that they were coming. Once in No-Man’s-Land the artillery continued to take its toll and then the machine guns opened up on the advancing British infantry. They fell in their thousands and the attack came to a standstill almost everywhere. Survivors sought cover wherever they could find it and at night they crawled back to their own lines, often dragging a wounded soldier with them. Only in the south were any advances made with the attack on Fricourt and Mametz. Over 19,000 British soldiers were killed on this day, including 2,500 from London. The 56th (London) Division and the 46th (North Midland) Division carried out the diversionary attack on Gommecourt. It was intended to draw German reserves away from the main battle further south and to pinch out the Gommecourt salient. It failed on both counts. The German defences at Gommecourt were among the strongest any British attack faced on 1st July. Nevertheless 56th Division’s attack on the southern edge of the salient began promisingly. The first two German lines were taken but they could get no further. 46th Division’s attack came to grief on the uncut wire and by the end of a very bloody day, all but the dead and injured were back in their own trenches. On 1st July, 169 Brigade, 56th Division attacked with 5th London and 9th London (Queen Victoria’s Rifles) with 16th London detailed to pass through them once they had taken their objectives and captured a German stronghold called the Quadrilateral. But events did not work out as planned. The wire had not been cut properly and there were only a few gaps in it through which the attacking troops of 9th London could pass and whilst they waited they were hit by concentrated machine gun fire. Despite this some did make it through and into the German trenches. At this stage the German artillery opened up with full force, plastering no-man’s land and preventing supplies and reinforcements getting across. By now the German defenders had emerged from their deep dug outs and were pouring fire on the Londoners from their strongly held reserve trenches. Even so, some of the attacking force managed to push on to Nameless Farm road, a sunken road, but this is as far as they got. To show one’s head above the 4 ½ foot bank of the sunken road meant instant death. 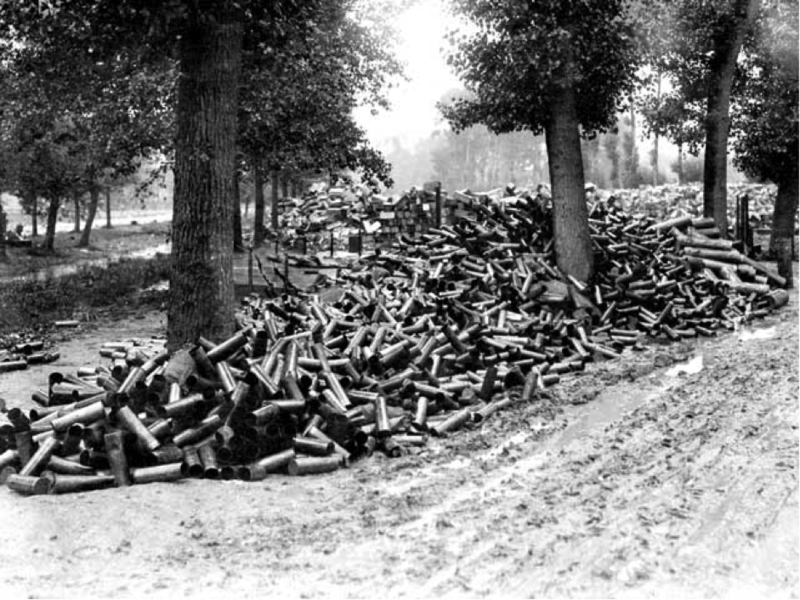 By midday the Londoners were running short of grenades and they were under strong bombing attacks from Gommecourt Park which forced them back. There was little help from British artillery and the wounded began crawling back across no-man’s land. By 2pm they were still holding parts of the German 1st & 2nd line and the southern part of Gommecourt Park. But their position was doomed. There was no further attack from 46th Division and to the south news came of the failure of 31st Division. Nevertheless they continued to resist but by 4pm the Germans had retaken their 2nd trench and had footings in the 1st. Before dark the Londoner’s numbers had been reduced to 70 holding a small part of Ferret Trench 200 yards from Gommecourt Park and at 9.30pm the last party made it back suffering badly en route. The planned renewed attack did not take place. Kenneth’s name is one of 72,196 British and South African servicemen on The Thiepval Memorial to the Missing of the Somme, who died in the Battles of the Somme of the First World War between 1915 and 1918, with no known grave.